There are 9309 posts in this topic. You are on page 1 of 187. This game needs to have its own club. Who's got one and what's great about it! Will be a member very soon! Anyone have this translite installed? Yes, I do (have the translite installed)! I like it a LOT! I've owned my game for 6 years over the past 16 years. I bought it 16 years ago, sold it to a friend after 3 years, and bought it back 10 years later. Last time I sell it until I cash out! Count me in. Great game! I didn't want to have to be the ONE to start the "Club" but MOF made me do it...so now it's here! One of my favorite quotes... "This time I'm gonna nail that dirtbag!" Also, do you guys get two balls in the shooter lane after the first red line mania completes? Seems like the bugs come out on my L-2 after the first mania completes. I played the hell out of this pin when it first came out and was lucky enough to pick one up a few weeks ago. It was in great condition with one exception. 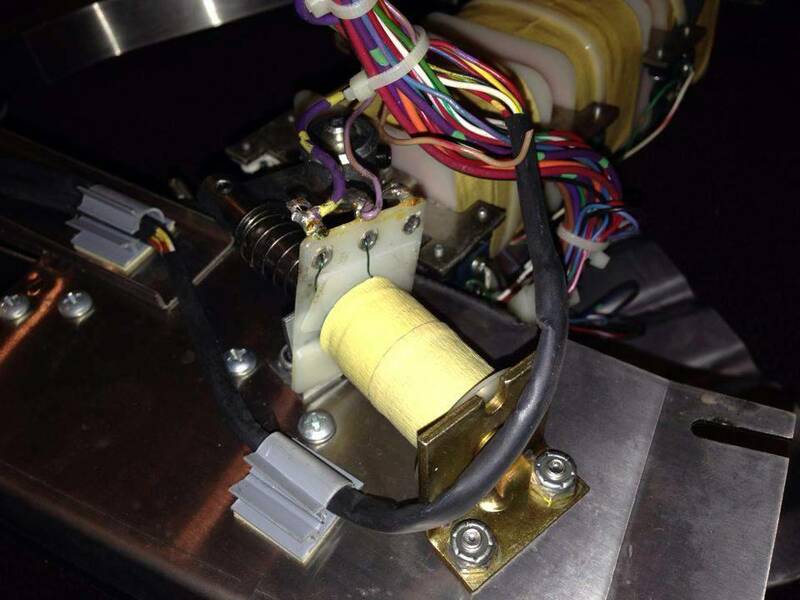 The plunger was pretty weak and it didn't hit the ball hard enough to get around the loop. 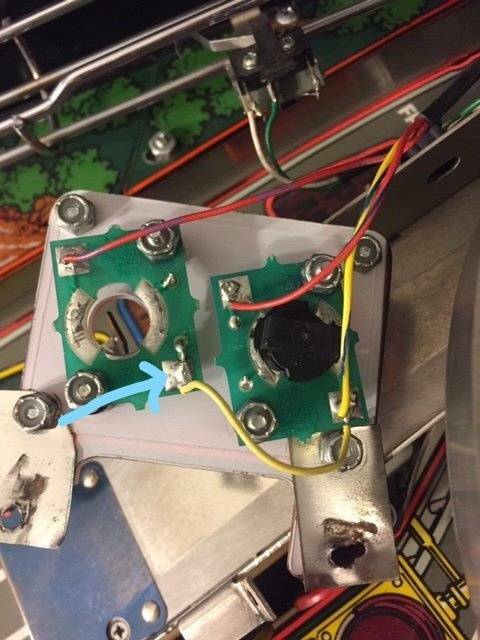 I did some research and most suggested a problem with either hitting the ball square or simply needing to replace the coil sleeve. As I was replacing the coil sleeve I noticed how short the armature was. It was about an inch shorter than it was supposed to be. I'm guessing something bad happened to the original and an operator just popped in something he had on hand. Now it plays perfectly and I'm having a blast. It's definitely one of my favorite tables. Now on to installing some LEDs. Just got mine a couple of weeks ago. Almost 100% now. I just gotta find time to do what I need to do. Mine it nothing special condition wise, but it has the number one mountain and the number one Donut Heaven re-pops. At a fellow Pinsider's "suggestion" I have since removed the Lambo--and it did clean up the look--thanks for the criticism! Getting the Extra Ball in Video Mode is clutch and the secret Donut Heaven mode is an Adrenaline rush. 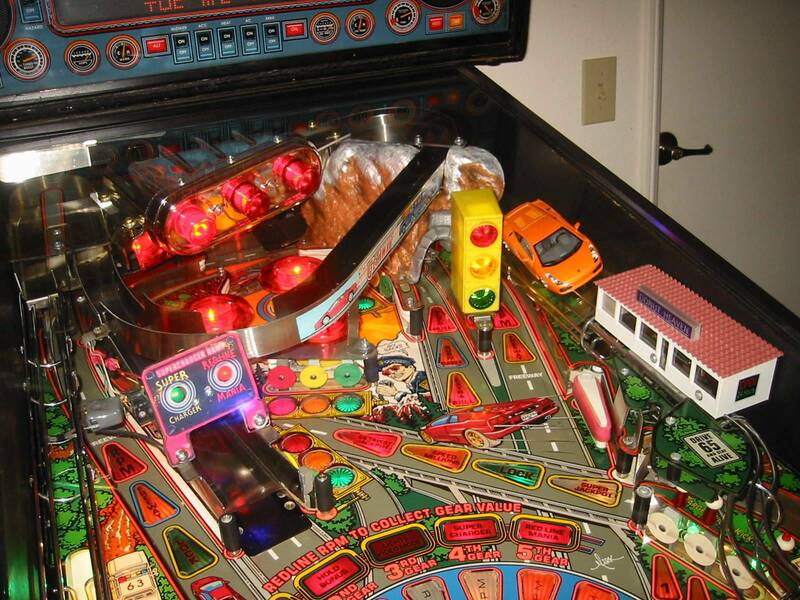 I might have to sell my HSII to a buddy of mine, but only b/c his dad got me started w/ pinball awhile back. btw--I never see the EB come up anymore in my video mode. What's up with that? I recently considered selling/trading mine to mix up the lineup. Put a full Cointaker premium LED kit in it and it made it look like a new machine! Was playing it thinking they might be some of last games on it......and I changed my mind! I have to say that every time I come across an HS2 I play it....and honestly mine plays smoother than any other one I've played so far. It's a true classic. It's also been the most dependable pin I've ever owned. I don't think I've repaired one thing on it....not even a switch adjustment. Oh.....now I've done it! secret Donut Heaven mode is an Adrenaline rush. I don't think I'm aware of that one? Maybe he means secret mania? just picked this game up 3 months ago. absolutely love it!!! strangely, I had never played one before owning. 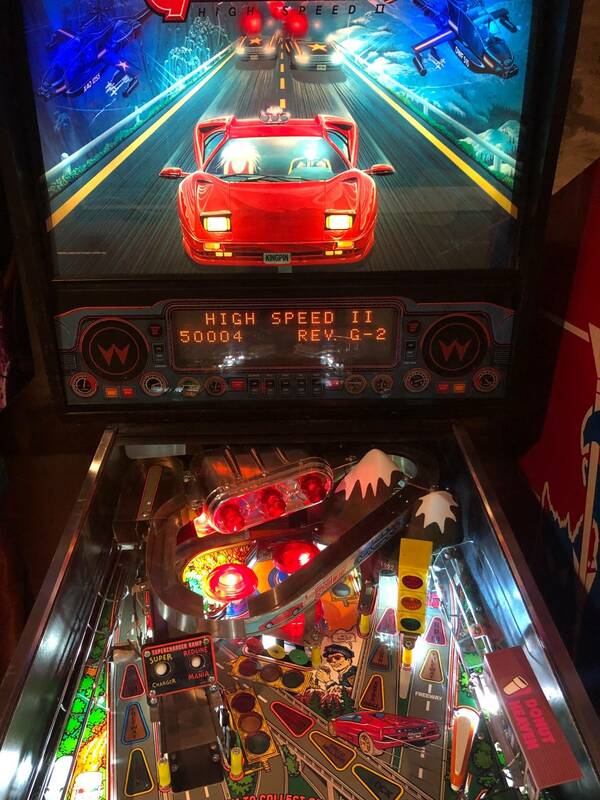 played the hell out of the original high speed, and just knew I would like this one as well. had family visit for Xmas and it got played non-stop for 4 days. total non-stop fun from the time you hit start. tell me some more about this 'secret donut heaven' mode. I have not seen that yet. In the club, but don;t know for how much longer. To get the secret mania... 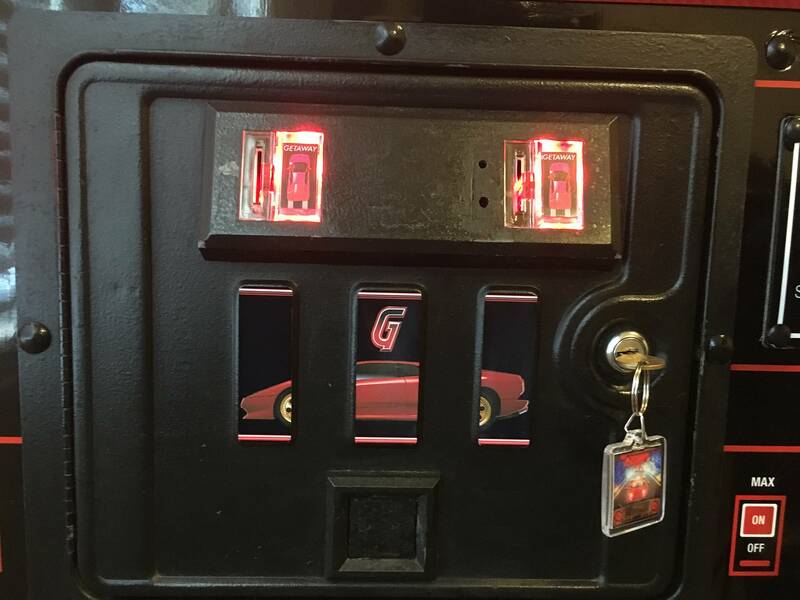 When you lock a ball and you see three police cards parked at the donut shop on the DMD, shift up, down, up and you'll get a secret mania mode where all shots are 500,000. I personally think that it's not worth it on L-2 since it can reset your locks, but it's fun to try it out. About the extra ball in video mode... I have never seen that either. Can someone elaborate? thanks for the clarification. will try that out. It should show up along the far left hand side. Not sure if it's random or every time....I tend to drive on the far right side. 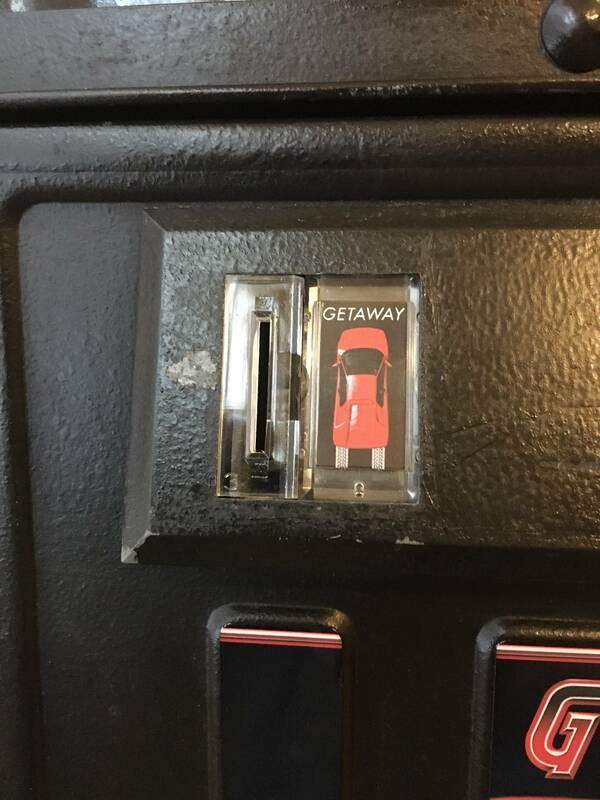 Getaway is and probably always will be my favorite game, the only game that makes my hands sweaty. Will be joining the club in April... key starter mod already purchased. May get the mountain and Donut Heaven down the road. ... key starter mod already purchased. I've been looking for that. Where did you find it? I've seen it on both sides, but not every time I get video mode. Every time I get Secret Mania it seems like I drain right away. I have never ever seen on the right side. I think I even read something about it being on the left? Etsy has them. You can find the mountain mod and donut heaven as well. Hey. I have a High Speed. Can I join your club? My second favorite pin after High Speed. Wow, I never knew about Secret Mania. I guess I should read the rule sheets even on the "shallow" games. EB only shows up in Video mode on some versions. I think only V2 ? My supercharger was working differently than anyone elses. When you shot it up there it would do the same amount of rounds everytime. 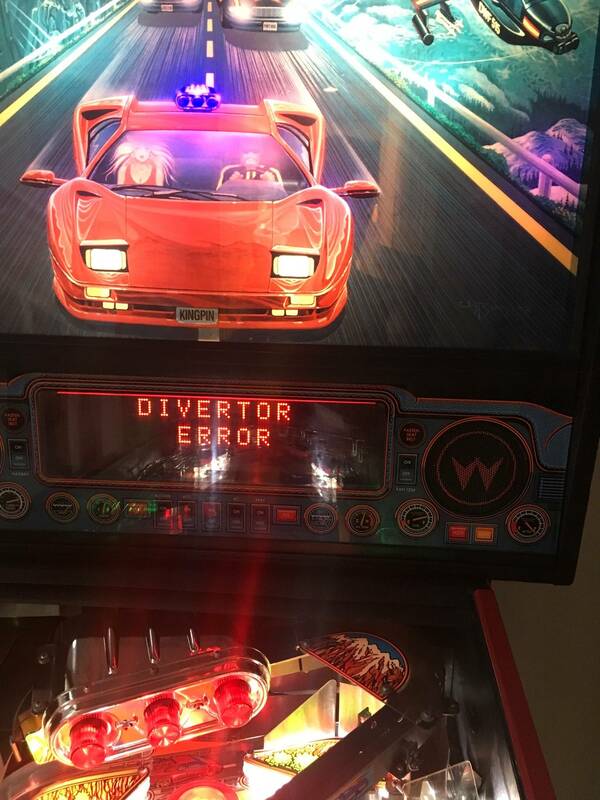 One day, I got a divertor error and I couldn't clear it. It was weird. 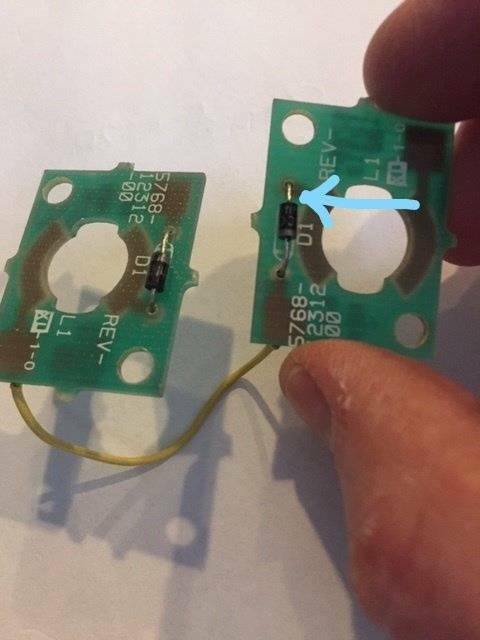 I took it apart and found that someone had removed the outer winding of the coil and taped up the wire. In the past 16 years, neither I or the guy I bought/sold the game to knew it. I bought a new coil and it works perfectly now. 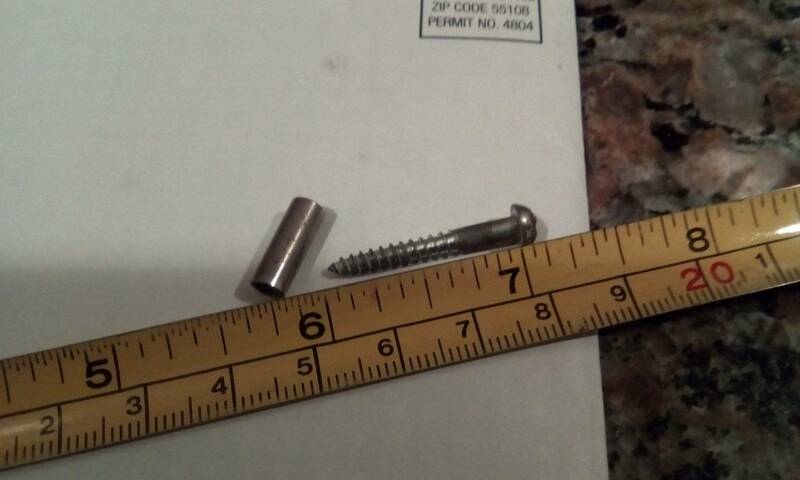 One of the strangest things I've ever seen done to a pin. I wouldn't let MrSanRamon join the High Speed club last week so he started his own! This club stinks! I wouldn't want to be in your stupid club anyway!! Unfortunately, the Extra ball in Video mode is controlled by the auto percentaging programmed into the game, so as you begin to collect more and more extra ball awards, the percentaging getting smaller and smaller till it goes away,during VM. If you do a game reset, etc., it will come back, but will eventually go away. I am runnning L-5 and it has the VM extra ball feature and shows up on both sides of the road I am pretty sure. 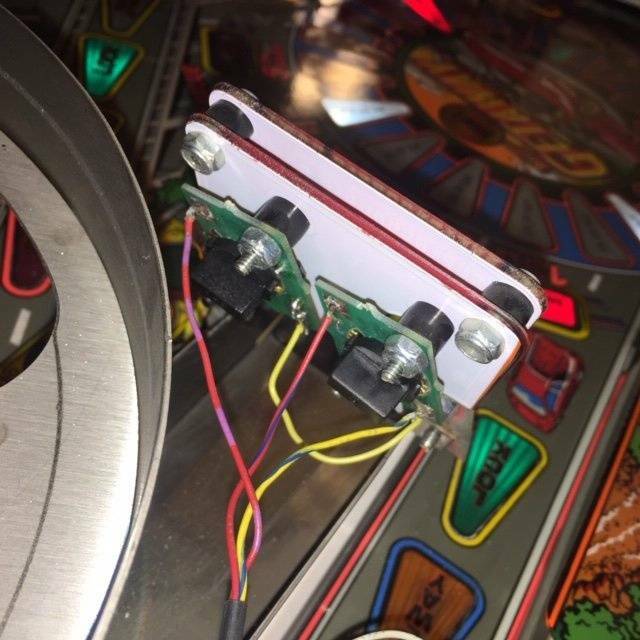 That's kool, I've never seen this before, not even when I played the crap outta of the pin when it was brand new . . . 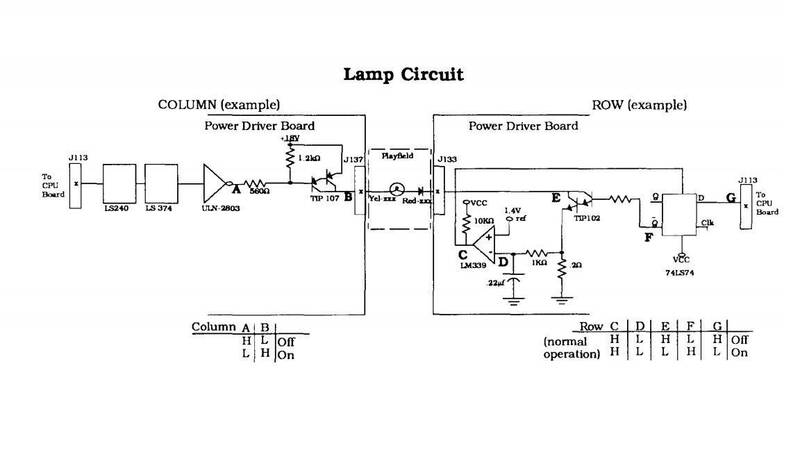 I wish someone could make a key start switch that was more like the one from Checkpoint. While the one above looks cool, I think I'd like a better key, more like a car key, you know? Plus I don't like that you can remove the key. Not that I would have my machine on location but if I ever take it to the Ohio Show, I doubt the key would last long before disappearing. 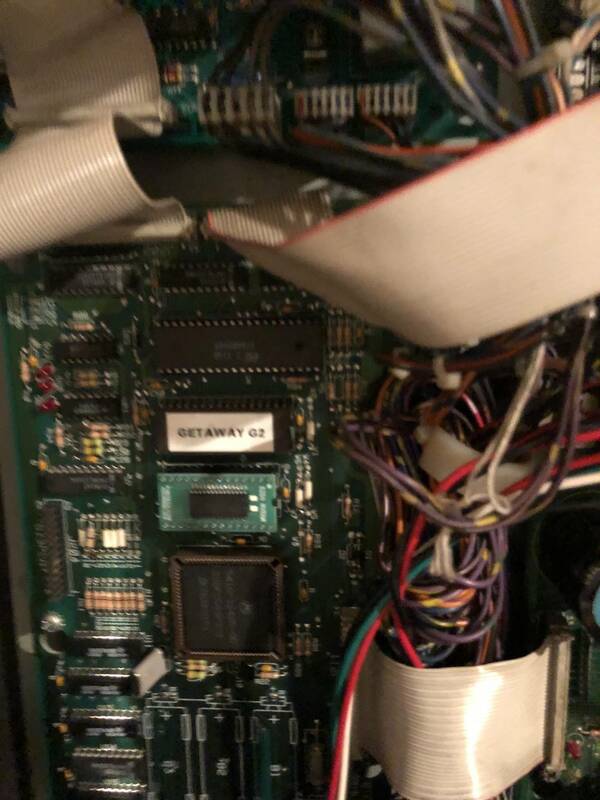 Some ROM version assessment I found; anyone have any different or additional info? Donut building I made. I think something over that metal piece really adds to the game look. However, the bug is slightly mislabeled, even though that is the generally-seen manifestation. 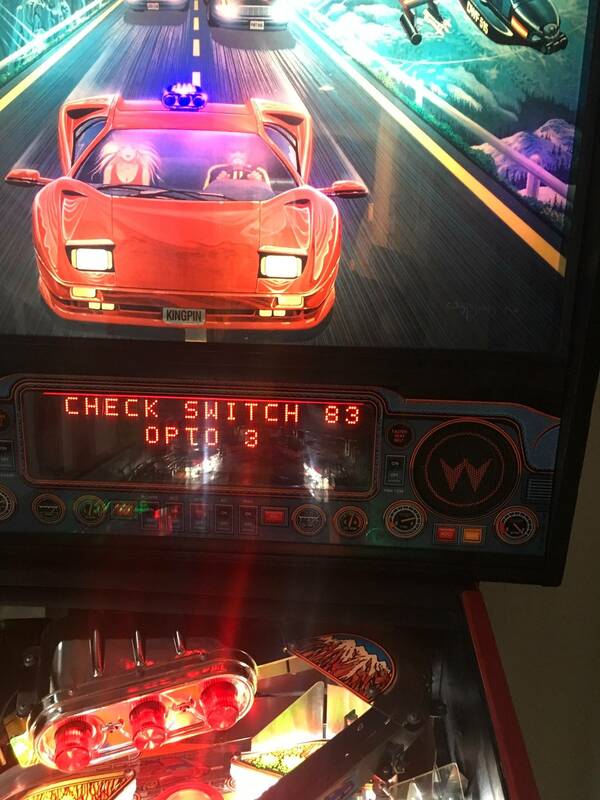 The bug is that every 3rd ball arrival into the lockup starts multiball. So normally what happens is people have 1 or 2 balls locked, then start RLM. RLM runs normally, you get a jackpot. 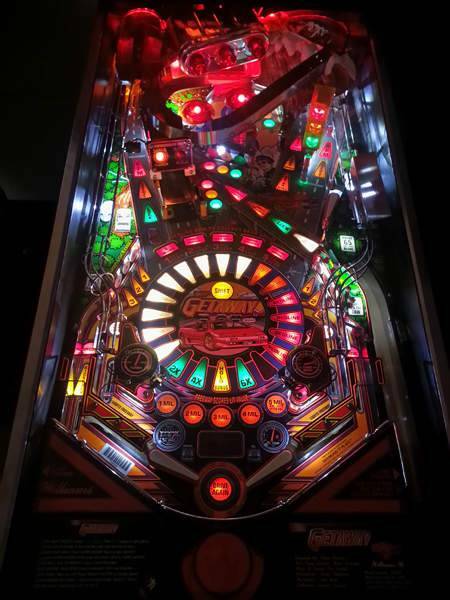 If you had 2 balls locked, then the arrival of the jackpot ball restarts multiball (complete with ball saver (even for multiball 2+), relaunching drained ball(s), and making light jackpot lit (i.e. 20 loops to light jackpot)). If you had 1 ball locked, then you can go for the RLM super (augmented to 100M) after RLM jackpot. 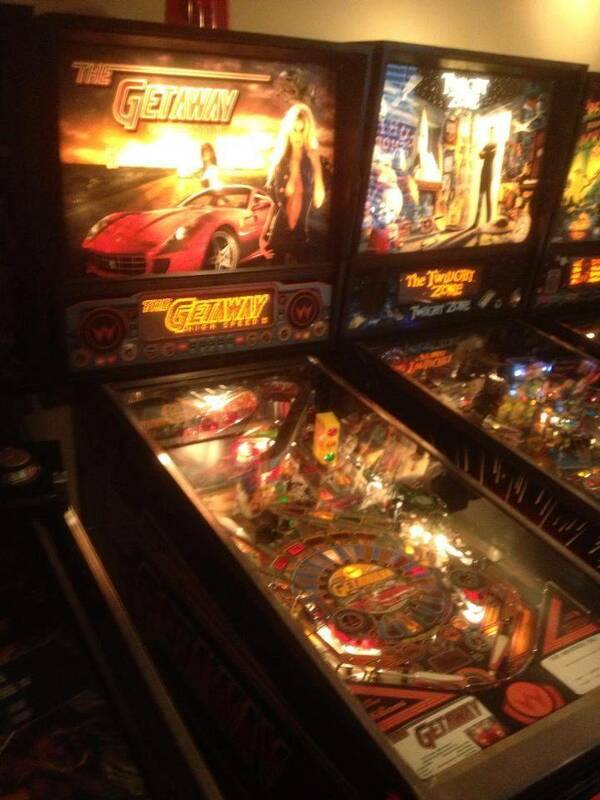 If you make the super shot, then at that point that will be the third arrival, and multiball will restart. With 0 balls locked, you can get jackpot-super-super then multiball restarts. 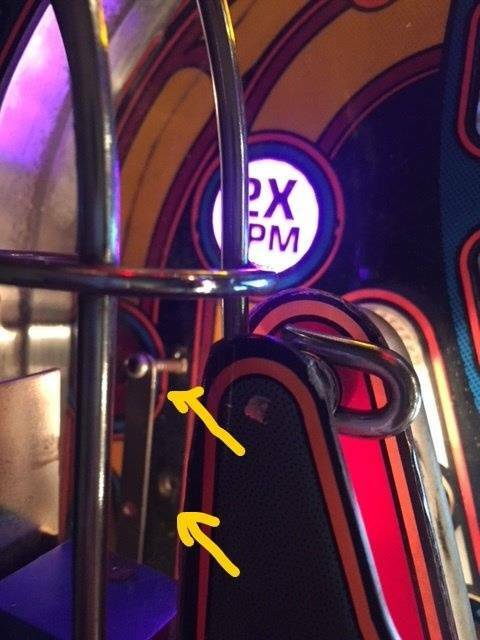 Similarly, you could have one ball locked, get a jackpot during RLM, light lock again, lock 1 ball, multiball starts. Confused yet? It's easy for me because I understand exactly why the bug is there. An unlisted bug is "GAME RESTART WORKS," which is the adjustment that handles what the start button does. FT was the first game with this adjustment, and I can't remember if HS2 had it from day 1 or it didn't get added until L-5. 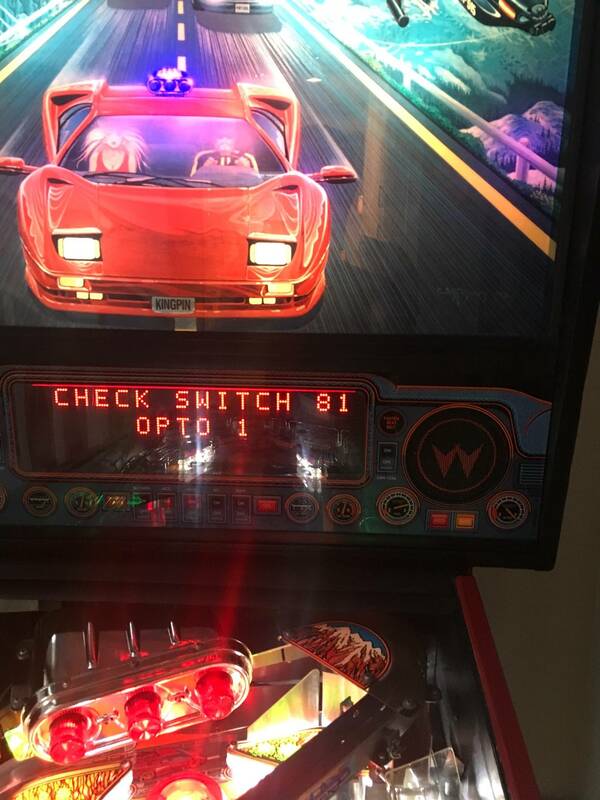 At any rate, the bug is that because the car-starting noises play when you push the button in, the game doesn't start until the button is RELEASED. The standard game start logic checks to see if the button is held in, which obviously it can never be, so Game Restart=SLOW will never work. Thought the back section was too dark, so added red led strips (helps hide the yellowing plastics too). 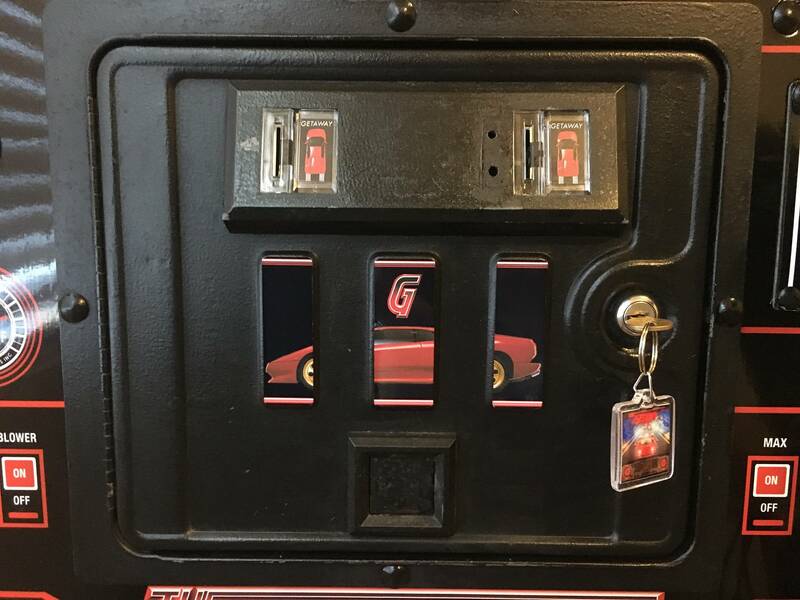 Added a post light under the "Drive 65" plastic, something that should have been there to begin with. 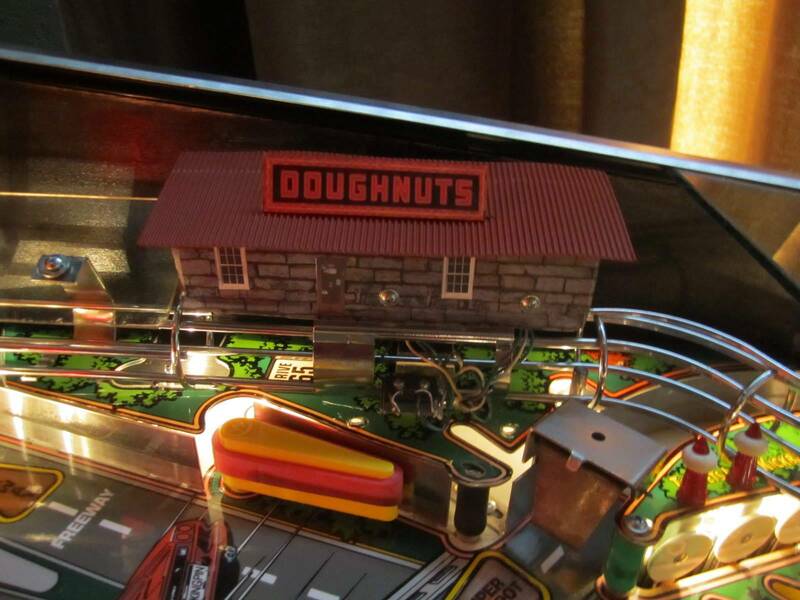 Dream is to laser the Getaway logo where everyone puts the doughnut hut (like the Funhouse light shade). I don't even have the metal plate on mine people are placing donut heaven.